﻿﻿A drunk driving charge can be confusing and stressful can permanently alter your life by affecting your ability to drive, your job, your future employment opportunities, and your freedom. ﻿ The penalties for a DUI in California are potentially severe, particularly when it is not your first offense. 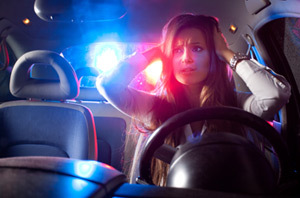 After being charged with a DUI, you should immediately contact an attorney for an evaluation. California DUI law is complex and requires advice from an experienced DUI lawyer who can successfully resolve your charge. Because harsh penalties can result from a drunk driving conviction, a strong defense strategy should be built for your case. It is very important to understand your rights before proceeding with the legal process. ﻿﻿Underage DUI laws in California are designed for adults over the legal drinking age of 21. Those who are under the age of 21 are considered minors. While it is illegal for minors to drink alcohol, specific California laws address minors who have been found to be drinking and driving. There is a “no tolerance” policy to underage DUI as well as a lowered blood alcohol content that applies to minors in this category. Specific penalties have been created for those who are convicted of underage DUI. Most minors run into problems because they were drinking at a party when they weren’t supposed to, and then drove home. Young drinkers may become intoxicated more easily than older individuals and they may not understand that they become impaired quickly when they drink. The legal blood alcohol content (BAC) for minors is 0.00 percent. For adults, the BAC is 0.08 percent. What this means is that if a minor is stopped by police, the officer may charge the driver with underage DUI if he detects even a slight amount of alcohol. The penalties for underage DUI are severe. As states—including California—continue to crack down on DUI offenders with increasingly severe penalties, drivers need to be aware of the likely consequences if they are convicted of a second or more DUI within a 10-year period. Not only will you face a mandatory term of incarceration, but you are likely to face additional penalties, as well. This is why you need the assistance of an experienced DUI defense attorney, especially if you have a prior DUI conviction your record. If you find yourself in this situation, your first step should be to contact Darren J. Kessler at West County Law, where you will be able to schedule an immediate free consultation with a skilled and knowledgeable lawyer about your DUI or DUI-related charges. We know just how stressful and difficult your situation can be; let us help calm your fears and work toward a positive resolution of your case. Our attorneys handle drugged and drunk driving charges including high BAC, repeat offenses, and DUI with injury or property damage.